Having been registered on here for over 5 1/2 years, I suppose I had better belatedly introduce myself. I may have already done this.......although my post count shows only 3* I'm sure I have posted more times than that; has some stuff gone missing? If it has, it's probably gone the same way as most of my brain cells! Anyway.......I work on the railway at a small station near Ashford, and have modelled in various (too many) scales and gauges. My Gn15 output so far consists of a little pizza layout I built in about 2008/9; some of you may have seem it at MOMING in Pewsey back then and I think Steve Bennett took some photos which ended up on here somewhere. 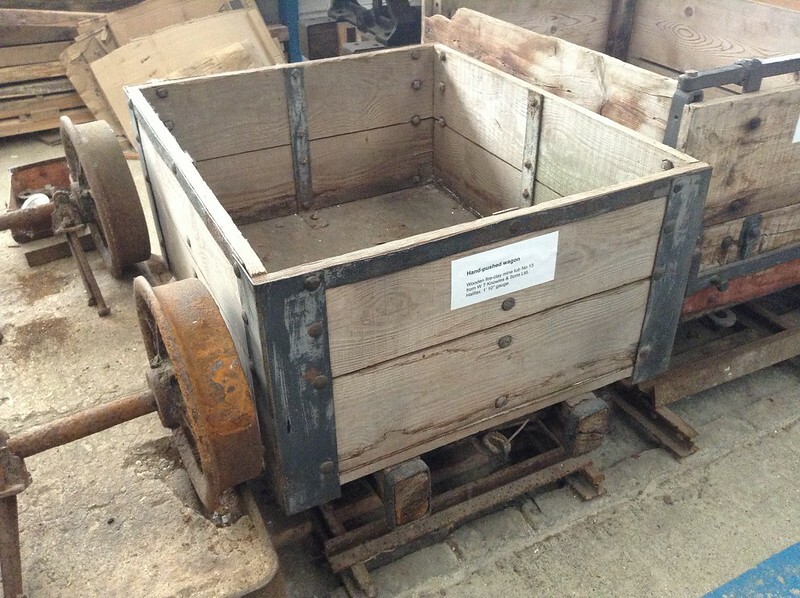 The only stock I had was a Sidelines "train set" I bought at the Telford show in 2008; this consisted of kits to make a small battery electric loco, two v-skips and a tool wagon. Part of the reason for re-kindling my activity in Gn15 was the discovery at Amberley Rail Gala recently of six Sidelines wagon chassis at a bargain price; I also had some resin parts to form the basis of a small I/C "critter", some PECO 0-16.5 track and points and another cheap acquisition; a set of Fujimi garage mechanic figures, cut off the sprues but still in assembled and boxed for £2! 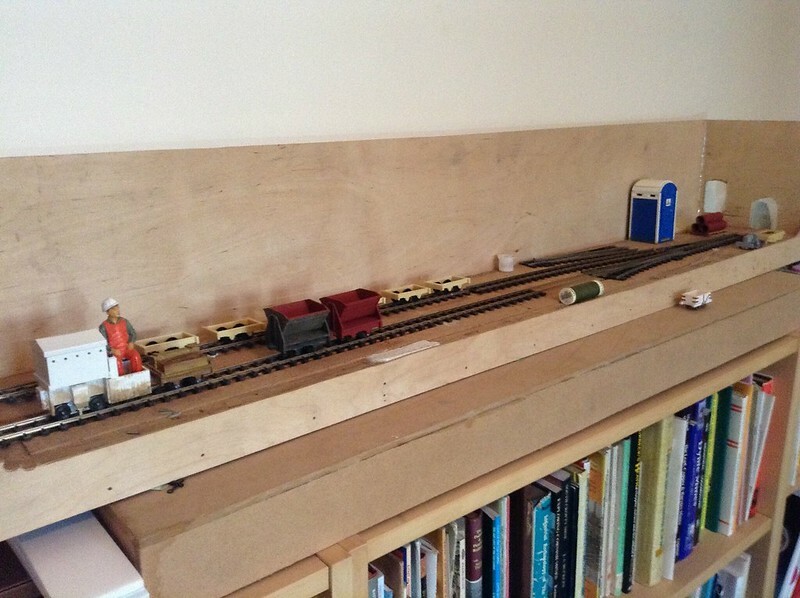 Like a lot of modellers, I have a few surplus baseboards kicking around waiting for something to do; the one in question being just under 4' long by about 8".......I'm sure I should be able to fit a little layout on it, and when I do I will start a separate thread. *this will be the fourth.....does that make me a four-poster? I hope it's not your fourth and last post. 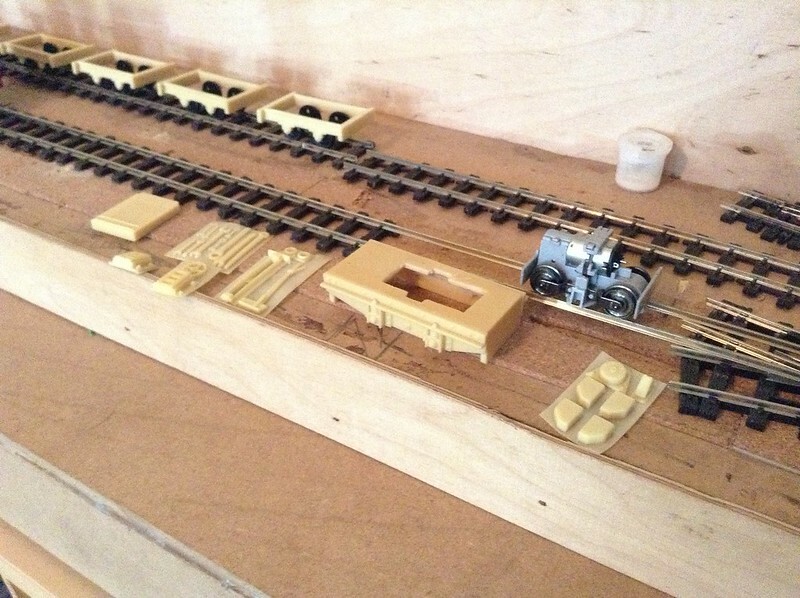 Nice start for your layout. Can't wait for further pics. It looks like you've got a good few options to get going with. Looking forward to seeing how things develop. Mean times, welcome! You have some very cool equipment on your roster. Looking forward to see what you come up with. 8 feet of baseboard is great and potential for a lot of detail and operating fun !!! I think we've already met somewhere else........................There's no safe haven, anywhere, apparently! I've been on here for about the same time as you (I think!) and do post occasionally but like you, my "posting count" dropped alarmingly a year or so ago - I think this was the cause of someone doing a cull of topics that had been declared deceased or something. Not to worry! Look forward to seeing it develop. Chris, I have also just joined the minimal gauge group on Facebook so hope to get some inspiration from there. Mick, I'm sitting on a train in Bexhill station as I type this! The baseboard is eight inches by four feet......although I could extend it I suppose! Even four feet gives plenty of scope; I've been trying to decide between an inglenook variation and something with a loop.....I think the loop will win as I've already built more than one inglenook. 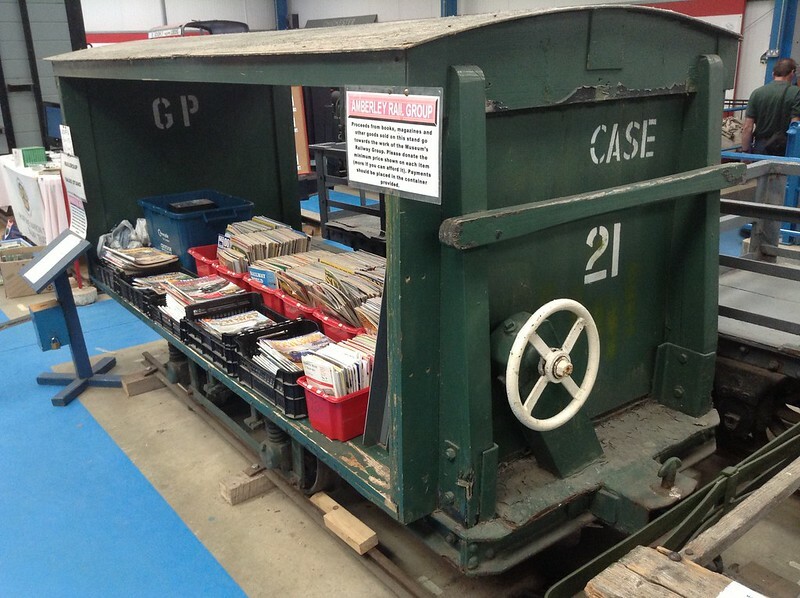 I also have an idea for a fiddle track involving doing something with a Peco loco lift but more of that anon. I haven't done any more modelling (it's been too hot!) although one more thing to comment on......era, I'm thinking of something vaguely modern and to that end I bought a 1:24 kit for a Toyota RAV4 last week; if I ever get around to exhibiting the layout it gives a good size comparison with the rolling stock etc. Rolling stock......I need to work out what to build on those chassis so I first need to work out what my line will carry. About to go into a tunnel........! I am sure we have met in another place sometime. I think it may have been in more than one place! 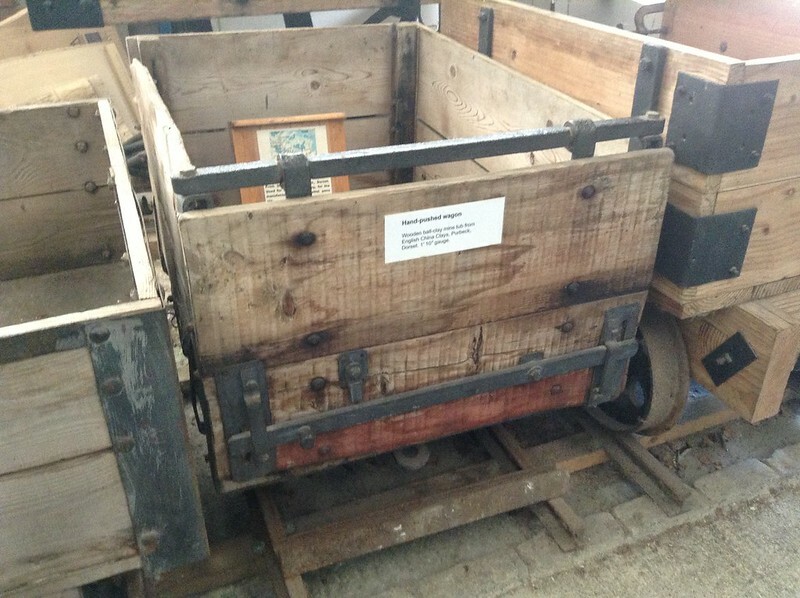 I don't know what the first vehicle was used for as no description was visible due to its being used as a sort of mobile magazine rack! 4' x 8" sounds perfect! A shelf type layout on a book shelf? Brilliant. I must get along to Amberly - its on my "must visit" list!